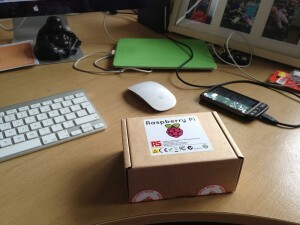 As alluded to in my previous post my Raspberry Pi arrived a while ago. It took me a while to get it up and running but I’ve now found that a £4 SD card from Aldi does the trick perfectly. I solved the issue of hanging the winch level using a couple of turnbuckles. My remaining engineering job is to interface the raspberry pi to a 240v ummmm switching thingy … oh and then I have to write some code to winch it uppy and downy but that *should* be the easy bit.